Mr. Banga will talk about the importance of diversity in driving innovation and defining a great leadership culture, especially at a time when business can be a crucial force for good in the world. 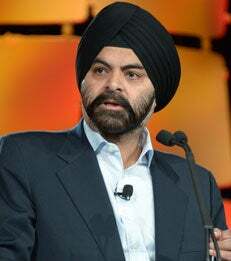 Mr. Banga is president & CEO of MasterCard. He is a member of the Board of Overseers for the Weill Cornell Medical College and the American Red Cross, and chairman of the US-India Business Council. Previously, he was CEO of Citigroup Asia-Pacific and in senior management roles at Nestlé and PepsiCo. To RSVP to NYU Stern’s Graduate Convocation ceremony, please contact Carolyn Ritter in Stern’s Office of Public Affairs at critter@stern.nyu.edu or 212-998-0624.